Boeing Co., the aerospace giant, has reportedly announced that it is planning to take over El Segundo (California) based Millennium Space Systems, the official military satellite contractor, in a bid to expand its satellite and space offerings. For the record, MSS (Millennium Space Systems) is a manufacturer and developer of military satellites and boasts of profound expertise in complex space system engineering. Although the U.S. Air Force is its primary customer, the privately-owned firm has also received contracts from NASA. 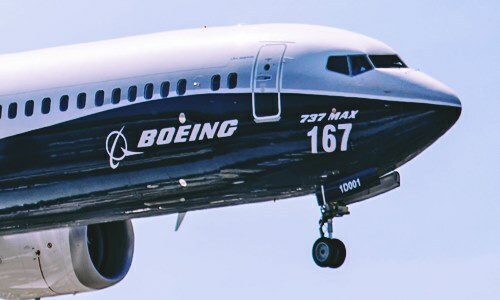 Its acquisition may allow Boeing to explore new opportunities and consolidate its stance in the national security space vertical, claim experts. According to the Los Angeles Times, small satellites are now being increasingly deployed for commercial purposes, on the grounds of which they are being subjected to strict evaluation by the United States Military. The DARPA (Defense Advanced Research Projects Agency) has also put forth a challenge for commercial manufacturers, stating that the ones who are capable of launching tiny satellites through small rockets with minimum notice would be handsomely rewarded. According to Leanne Caret, Chief Executive Officer and President of Boeing Space, Defense & Security, the experience and expertise of Millennium Space Systems in solutions related to small-satellites that are vertically-integrated are a perfect match for Boeing’s present satellite business, and would allow the company to meet diverse customer needs. Caret further added that Boeing would integrate the end-to-end mission resolution competence of Millennium Space Systems in its satellite solutions and data services. Stan Dubyn, the Chief Executive officer of Millennium Space Systems, is of the opinion that the organization would be able to do more incredible things under Boeing’s leadership by joining talent, technology, tools, and culture. For the record, Millennium Space Systems started operating in 2001 and its employee headcount is approximately 260. The firm is reputed to have built satellites weighing about 50 kg to 6,000 kg or even more. Financial details of the deal have not been disclosed so far.